Snoring Due to a Blocked Nose? A blocked, congested or stuffy nose is one of the leading causes of snoring. This is because your nose is the most efficient breathing route, and snoring arises from inefficient breathing. Unblocking your nose can drastically reduce snoring, but which way is best? Nasal obstruction has many causes so there are a few different solutions. SnoreLab can give you great insights into the triggers of your snoring. The common cold, allergies, pollution, drugs , hormones and the very shape of your nose all need consideration if you think nasal obstruction is the cause. How does nasal obstruction cause snoring? Your nose is great, and when it’s working correctly you are unlikely to appreciate the important work it does. Whilst adding warmth and moisture to incoming air, it also uses mucus to trap harmful invaders and channels air through your upper airway efficiently and silently. Trying to breathe through a blocked nose is uncomfortable. If you can just about manage it, the whistling or popping noise you get, whilst not the textbook definition of a snore, is still incredibly bothersome and would benefit from some attention. A typical snore is still possible with a closed mouth. If you breathe through partially blocked nose, greater suction forces are created that can cause your throat to collapse and bring on snoring where your uvula and soft palate start to flap . Usually, with a stuffy nose you simply aren’t getting enough air into your lungs through this narrowed space. This is when you need to go to breathing plan B, through the mouth. Unfortunately, mouth breathing is a leading cause of snoring. What is blocking your nose? The common cold is brought on by a range of viruses that attack the upper respiratory tract. This invasion coupled with your body’s own defense mechanisms cause your nose to swell and become blocked. A leading cause of nasal obstruction and indeed snoring, is allergy, particularly dust allergies or the pollen allergy better known as hay fever. This is where your body launches into infection-fighting mode in reaction to harmless things. As allergens get into the body mainly through the nose, this is the area that sees the most action. Heightened blood flow and release of inflammatory molecules cause your nose to become stuffy. Read the story of SnoreLab user Jenny, who effectively banished her snoring after treating her dust allergies. Fumes from noxious chemicals, smoke (tobacco or otherwise), perfumes and even changes in temperature are some causes of non-allergic rhinitis (rhin = nose, itis = inflammation). 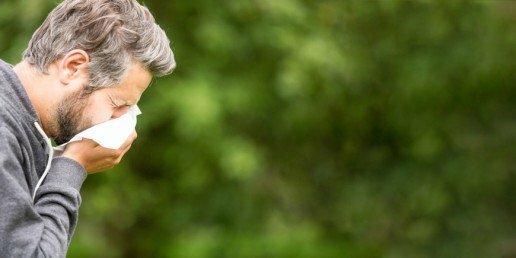 These types of nasal blockage can be chronic, meaning it lingers for a long time and persistently recurs. If you are exposed to these irritants on a daily basis, you may have lived with a stuffy nose for so long that you don’t even realize it anymore. Perhaps you don’t even factor it in as a cause of your snoring. Think about your day to day life and the things you are exposed to, as certain occupations carry more risk of exposure to these harmful irritants. Hormones are the body’s chemical messengers. Because they travel in the blood they are capable of reaching everywhere in the body, including the nose. Hormonal fluctuations are particularly prominent during the menopause, menstruation and pregnancy. There’s no shortage of changes that take place in the body during pregnancy, and though it may be low on your list of priorities, changes do take place in the nose. With increased blood supply to many parts of the body, up to 42% of pregnant women in their third trimester experience nasal blockage and as many as 49% snore (as opposed to 20% of the general female population) . An alcoholic drink before bed isn’t a great idea for restful or quiet sleep. Snoring is the result of over-relaxed muscles obstructing the airway. As a depressant, alcohol only makes this worse. Additionally, the breakdown of alcohol in the blood produces some transitional chemicals that, before being expelled as waste, can cause nasal congestion . Using nasal decongestant sprays has proven effective in reducing nasal blockage and in turn, snoring. 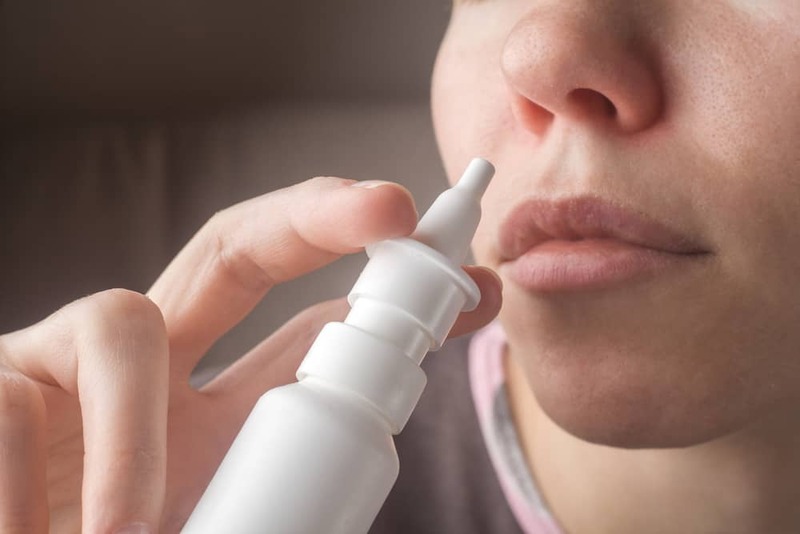 Whilst some types of nasal spray recommend daily use, the decongestant type (which works by constricting nasal blood vessels) can start to have the opposite effect if overused causing a “rebound effect” . If you are using a nasal spray to treat your allergies, always check what type it is and read the instructions. Your blocked nose can also be triggered by drugs that you may be taking regularly to treat other conditions. Medication for high blood pressure (ACE inhibitors), heart conditions (beta blockers) and simple over-the-counter pain relief (NSAIDs) can all contribute to stuffing you up. Have a check in your medicine cupboard if you suspect that your nose is worsening your snoring. This can often be remedied with a non-medicated approach such as a nasal dilator. If inflammation in the nose persists, the nasal folds become damaged and cause a blockage in their own right. Small, benign tissue growths called nasal polyps can develop alongside long-standing allergies, recurring infection or bad reactions to drugs such as aspirin. The structure of your nose is also important. People with a deviated septum are likely to suffer from nasal blockage. This is where the cartilage separating your nasal cavities is asymmetric, meaning one cavity is larger than the other, with the smaller chamber having the propensity to become blocked. 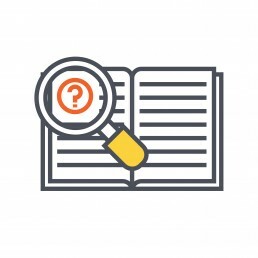 A deviated septum is often due to facial trauma, though is also associated with certain genetic disorders of connective tissue and birth defects. Sometimes, a simple nasal dilator can be very effective at relieving snoring caused by nasal tissue abnormalities. See which ones are most suitable for you with our guide to nasal dilators. For some, a blocked nose is the sole cause of snoring, for others, the picture is bigger. Understanding what role your nose has in snoring and identifying the cause can set you well on your way to tailoring the correct remedies to your snoring and achieving quieter nights. Do Nasal Sprays Work for Snoring? 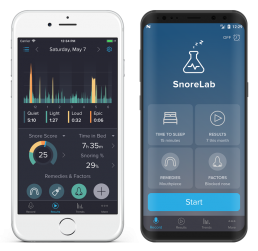 How Can SnoreLab Help My Snoring? What is Snoring and How does it Happen?